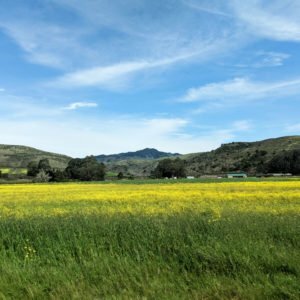 The Beckmann was an Airbnb that took us by surprise. 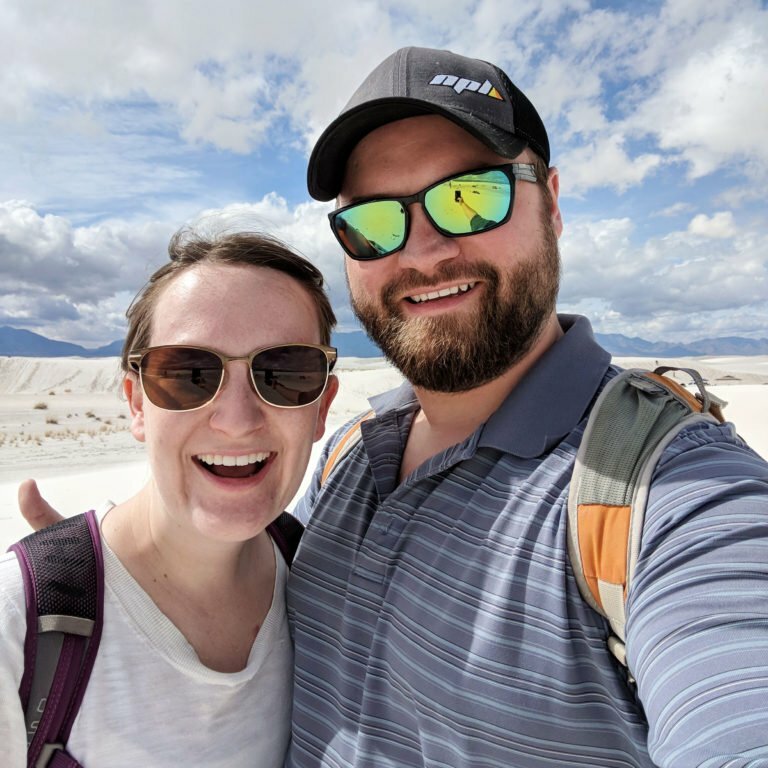 Our booking strategy usually zeros in on places with bunch of reviews and, broadly speaking, we’ve seen a positive correlation between the overall cost and the quality of the experience. So here was an Airbnb with only a handful of reviews that clocked in at the lowest nightly rate of the four Airbnbs we’d booked for our month-long stay in St. Louis. We were trying to keep our expectations realistic. But the moment we walked in the door, we realized we’d stumbled into something special. The spacious studio apartment was meticulously prepared, from the chocolates by the door to the house manual cheat sheet positioned on the perfectly made bed. 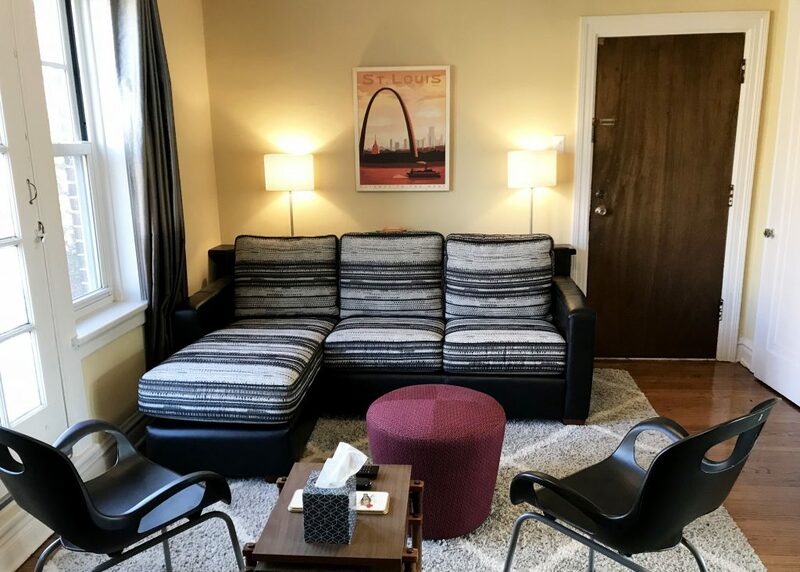 Between its competitive pricing, unbeatable Tower Grove location, and dedication to a phenomenal guest experience, the Beckmann will be the first Airbnb we look up the next time we’re in St. Louis. Our host Karen and her sister, Rachel, own SF Shannon Real Estate, which runs apartment rentals throughout a variety of historic St. Louis neighborhoods. Now in our experience, when realty folks try their hand at Airbnb, the results tend to be lackluster at best. 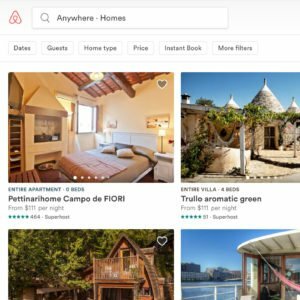 The personal touches that make Airbnb so unique seem to get washed away in bigger operations. But in their case, it feels like Karen and the SF Shannon team have all this pent up hospitality their regular tenants don’t need, which in turn means their Airbnb guests are downright pampered. We’re talking more snacks than we could possibly eat, essential oil diffusers arranged thought out the space, even a couch with special covers in case Odin would like to snuggle up with us for movie night. (He was bummed that our own on-the-road training excludes all furniture.) The team-based approach meant that while Karen was our official host, there were also five other St. Louis locals we could call if we needed anything. And the space itself was so thoughtfully designed, we wondered how many of those folks had contributed to the Beckmann itself. 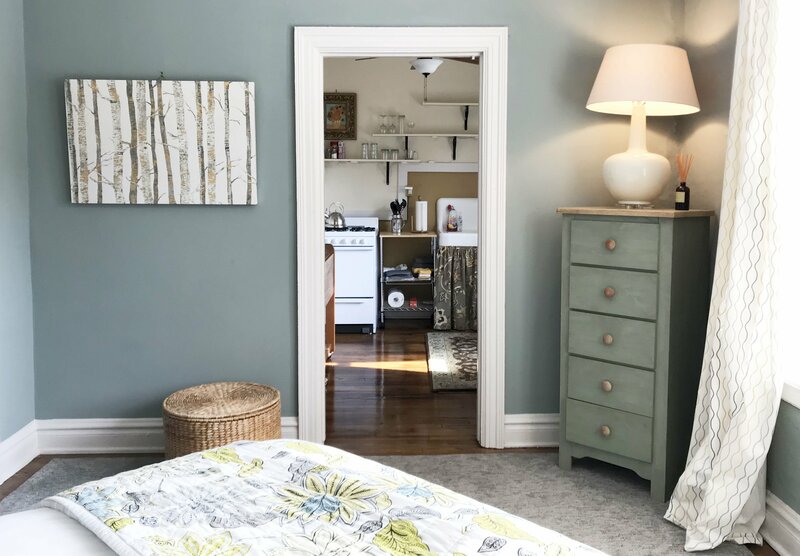 Technically, this Airbnb is a studio apartment, but it’s so darn big that we hardly noticed there wasn’t a door separating the bedroom from the living room or kitchen. 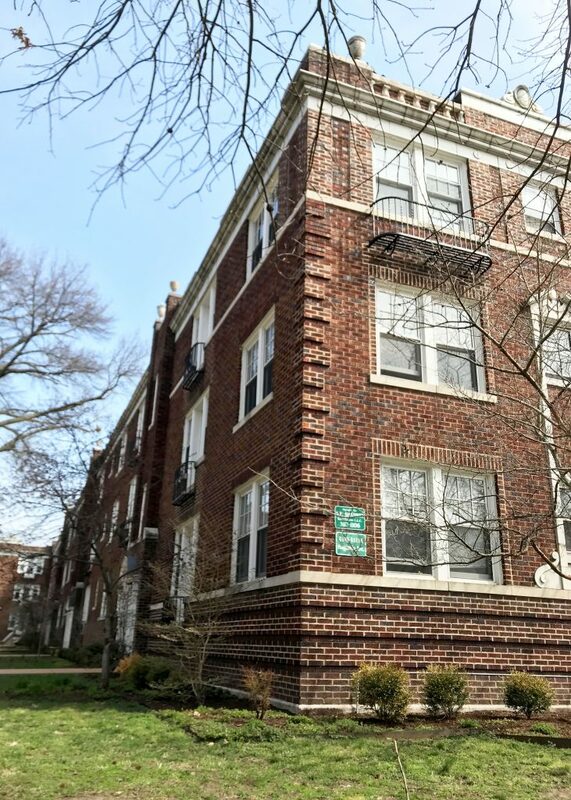 Situated on the second floor of a three-story building, this apartment is the quintessential St. Louis experience: an all brick building with high ceilings, wood floors, and detail work with a French flair. There’s even a smattering of stained glass. The building’s L-shaped construction enables the apartment to have broad sets of parallel windows running along on both sides of the unit. Whether it’s morning or afternoon, this place is filled with natural light. 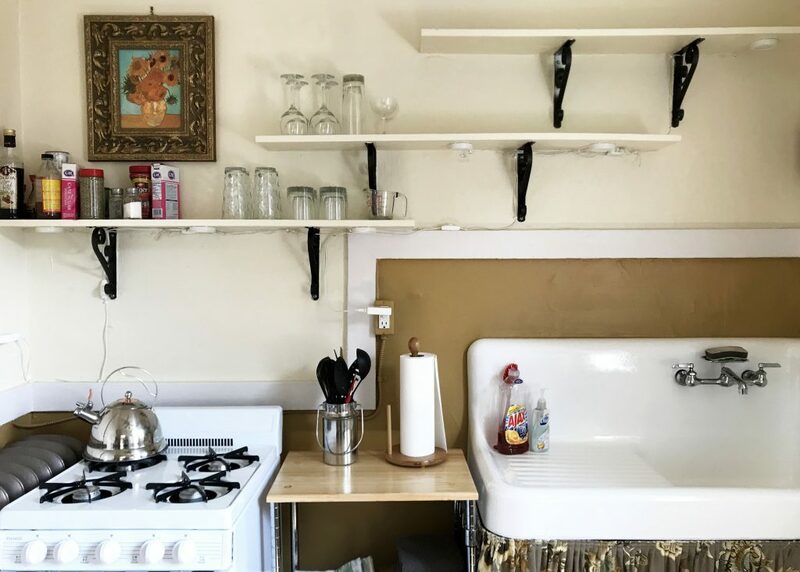 From the kitchen to the closets, every item Karen and her team had brought into this Airbnb had a purpose. Anything we could need at a given moment was within arms reach: the Roku remote (which we loved), a fantastic knife set from IKEA, a reading lamp before bed. And perhaps just as importantly, any superfluous items had been removed. This streamlined approach not only made the space exceedingly functional, it gave the whole apartment this light, airy feel. We walked through the week feeling rather weightless. The Beckmann sits on Magnolia Street which borders the north side of Tower Grove Park. Check this place out! 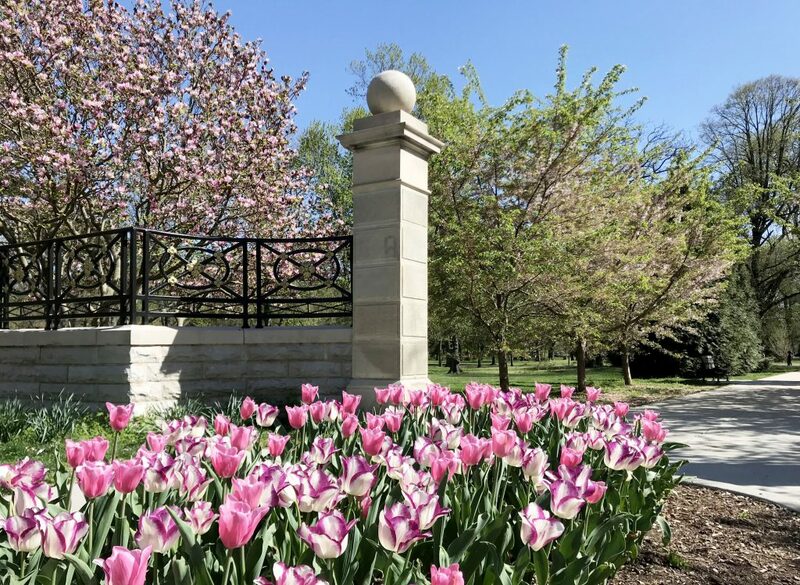 Founded in 1868, this expansive green space brims with over 7,000 trees, boasts a collection of brightly painted Victorian pavilions, and serves as a hub for community events. Buttressing up against the famous Missouri Botanical Gardens, Tower Grove Park was a staple in our daily routine. Each day at lunch, Odin would get to explore a new trail winding through the park. We were like kids in a candy store soaking up all of the personal touches Karen had incorporated into this space. Here were our favorites. Strategically placed in the open doorway between the living room and the bedroom, a wooden screen like this created a visual separation between the two rooms and enabled guests to create a bit of privacy if someone had gone to bed before their partner (i.e., me falling asleep before Jay almost every night!). During the day, we could just fold it back into the corner to maximize the space’s natural light. In both the bathroom and the bedroom, we found these delicious smelling essential oil diffusers, one in lavender and the other in lemon sage. 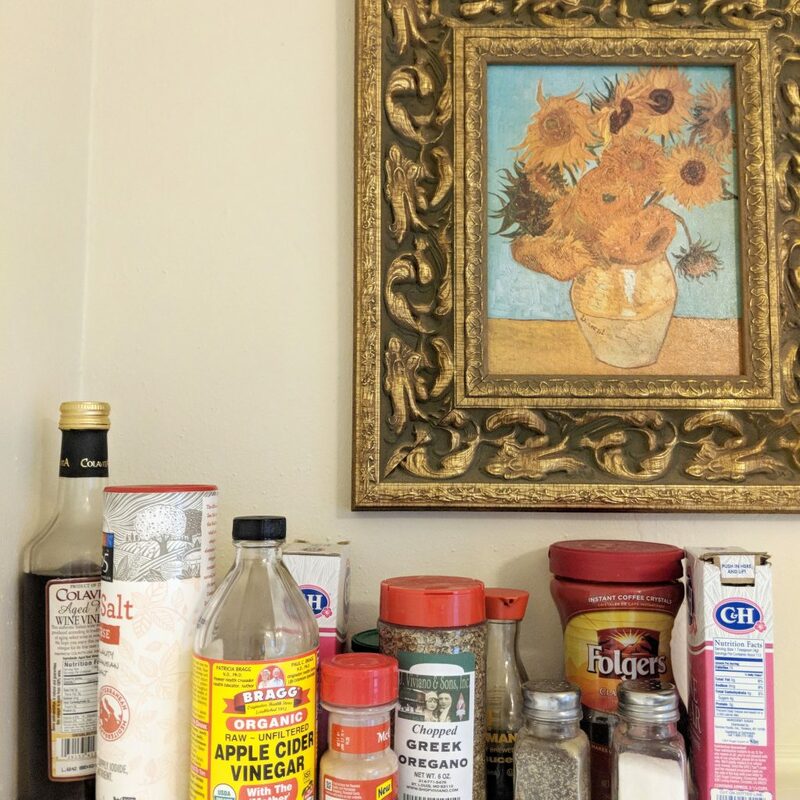 This is the first time we’ve seen this olfactory tactic in an Airbnb, and we were big fans. 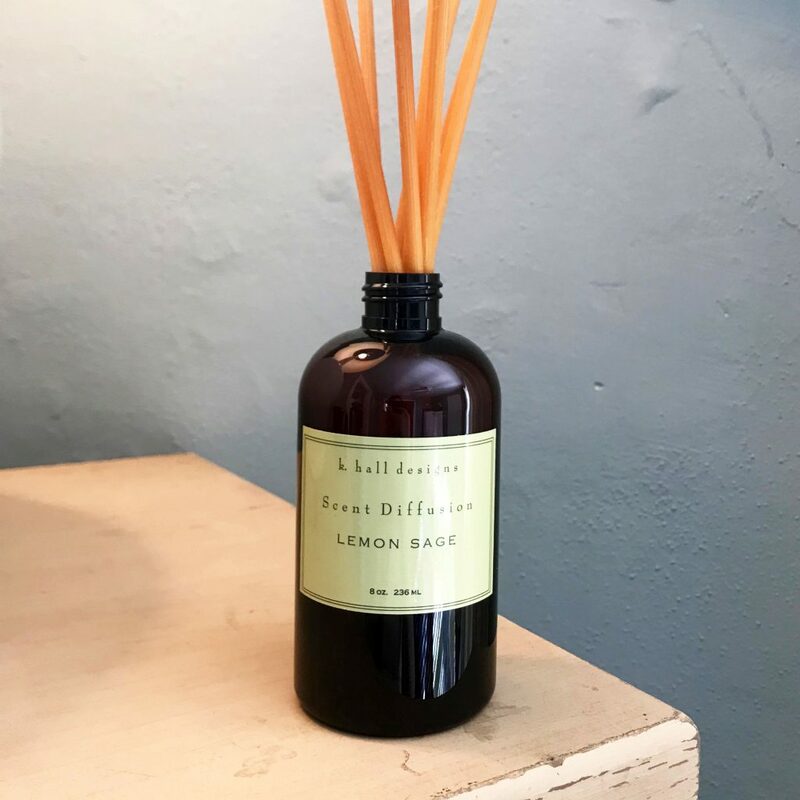 When we first entered the apartment, this faint scent made a great first impression, and throughout our stay, we’d happily pick up the smells as we moved throughout the space. In addition to the fluffy set of white bath towels, Karen had added one additional item: a black wash cloth specifically for removing makeup. I loved this. The frequency with which I put on makeup has taken a drastic nosedive since we started traveling full time. But when I do take off makeup at an Airbnb, it’s such a relief to know that I’m not going to stain any of the towels with mascara or eyeliner. The door to the fire escape is in the kitchen next to the sink. 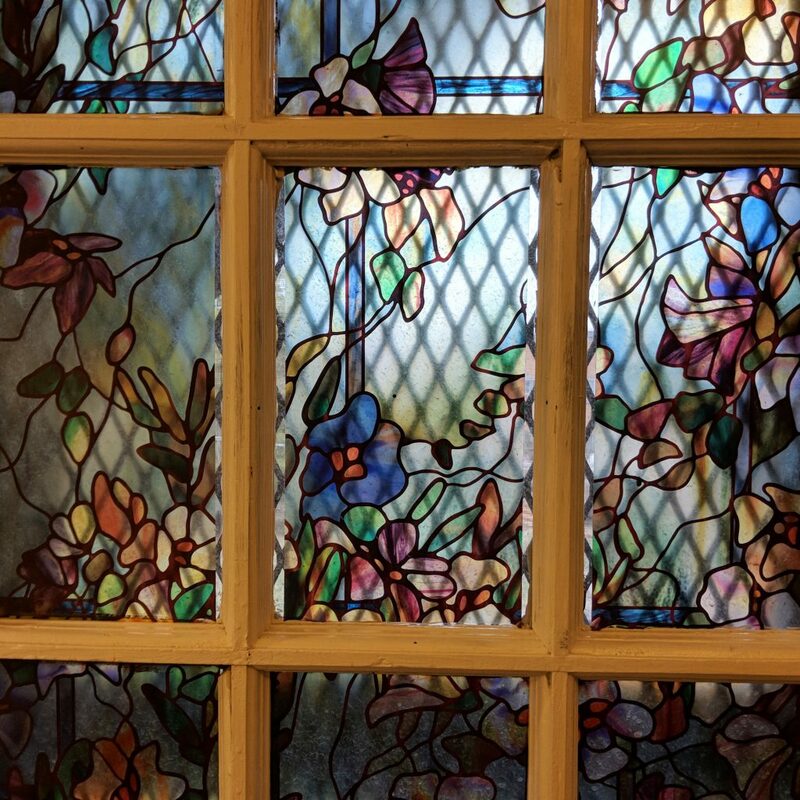 Instead of covering up the door’s window with something opaque, Karen had taken time to cover each panel with contact paper that looks like stained glass. 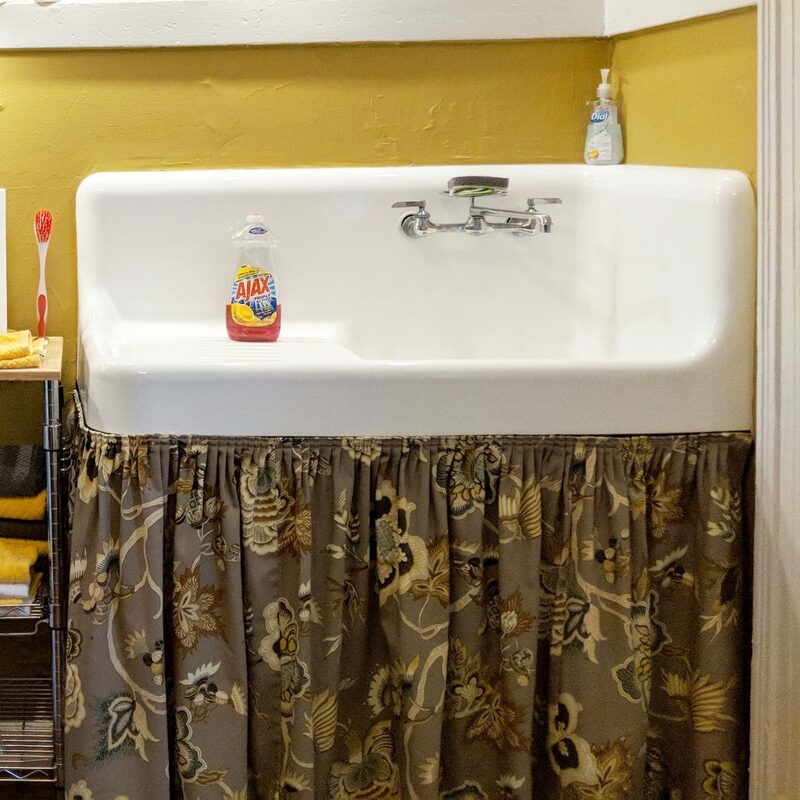 Not only did it extend the stained glass theme into the kitchen, it was a creative solution to provide guests privacy while still allowing in the morning sun. A rustic farmhouse style sink serves as the centerpiece of the kitchen. Its sleek porcelain, deep basin, and tall wraparound backsplash made it as functional as it was beautiful. We loved how Karen had added a fabric skirt of sorts around the bottom to create an clean finish while still enabling her guests to easily access a drying rack when needed. We know we talk about food a lot, but check out this smorgasbord. The amount of food Karen stocked for us was incredible: local beer, sparkling water, fruit juice, eggs, apples, oranges, bagels, popcorn, a chocolate bar, and coffee picked up from a nearby shop. Almost a week in this kitchen, and we still didn’t finish it all. 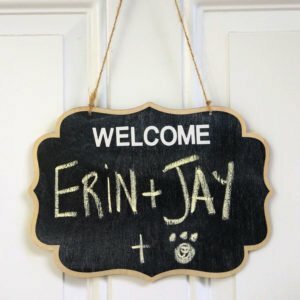 Just when we think we’ve seen all the tricks hosts have up their sleeves, someone like Karen comes along and pulls out an entirely new set of brilliant hosting tactics. 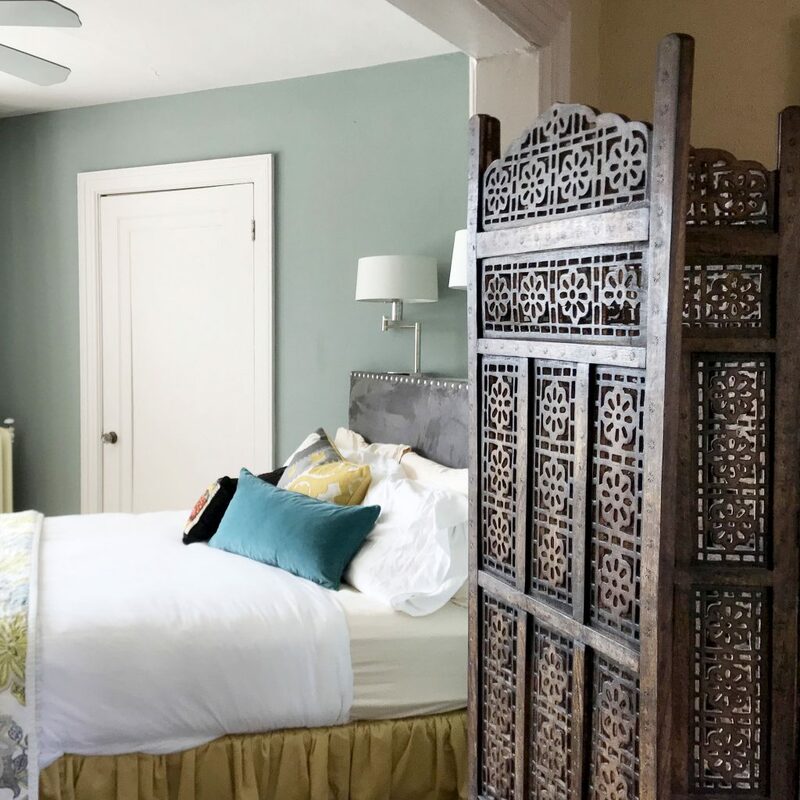 If you’re an Airbnb host, consider adding one of these clever tricks of the trade to your hosting routine. One of the first things we noticed when we walked in the door was a laminated guide set out on the bed. 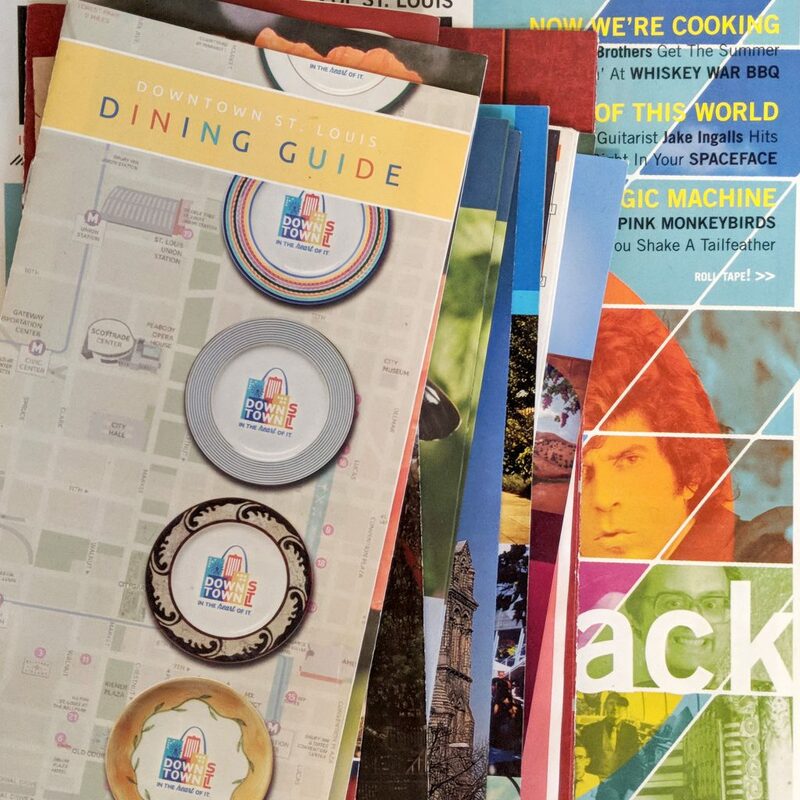 While the Beckmann has a full house manual online, decked out with restaurant recommendations and local attractions, this two-sided document serves as a succinct cheatsheet for guests. It summarized the most important information in an easy to read format complete with their branding. 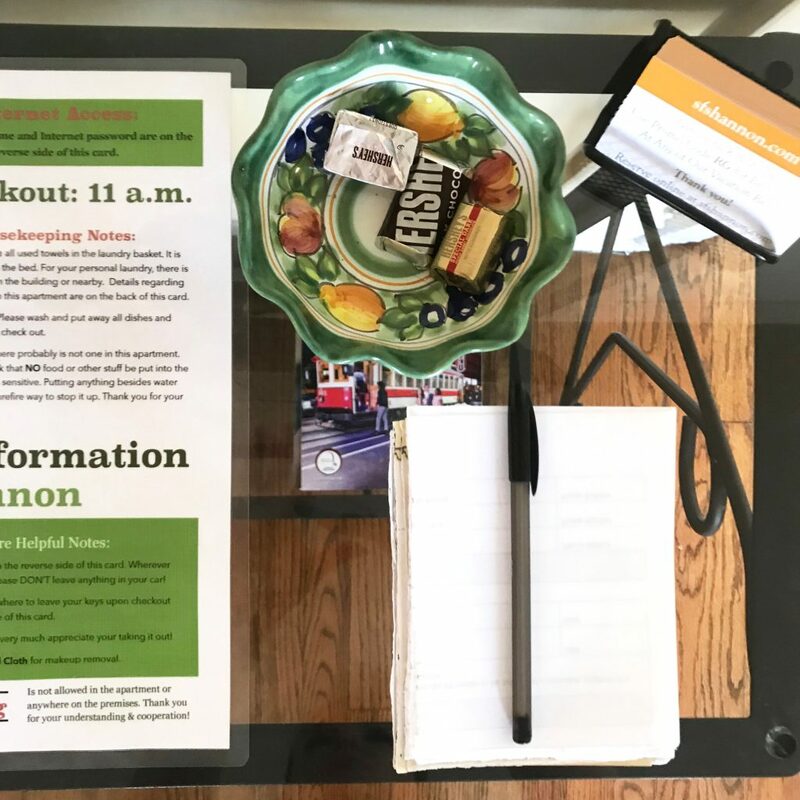 It included: contact information for hosts, check out instructions and time, the wifi details, as well as the location of trash, recycling, laundry and parking. We referenced it constantly! If guests access your Airbnb with keys, provide an extra set any time there is more than one adult coming to stay. While we were in St. Louis, professional obligations kept us on very different schedules. There were plenty of times that one of us locked up on our way out an hour or two before the other one came home. This was the very first Airbnb that provided two keys, and ironically, it was also the very first time we really needed individual sets. On the entry table next to the extra set of keys, we discovered another clever amenity: scrap paper and a pen. 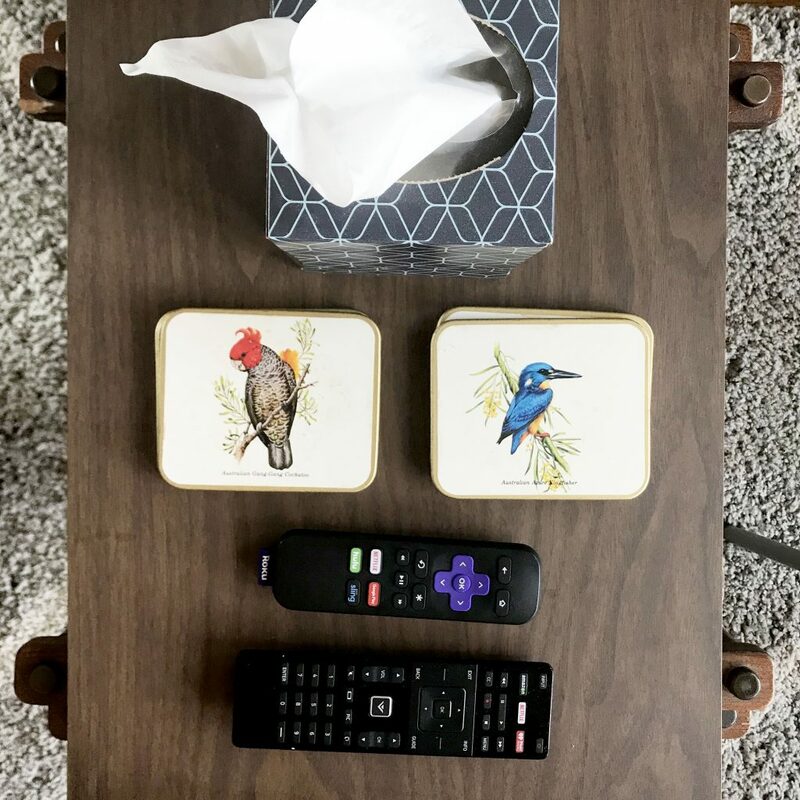 When you’re in your own home, scrounging up something to write with and on is relatively easy, but in many Airbnbs, tracking down these items turns into an all out hunt. Sometimes the only paper a host has provided is their guest book, which is definitely not the right place to jot down a confirmation number or the local restaurant a friend insists you try. 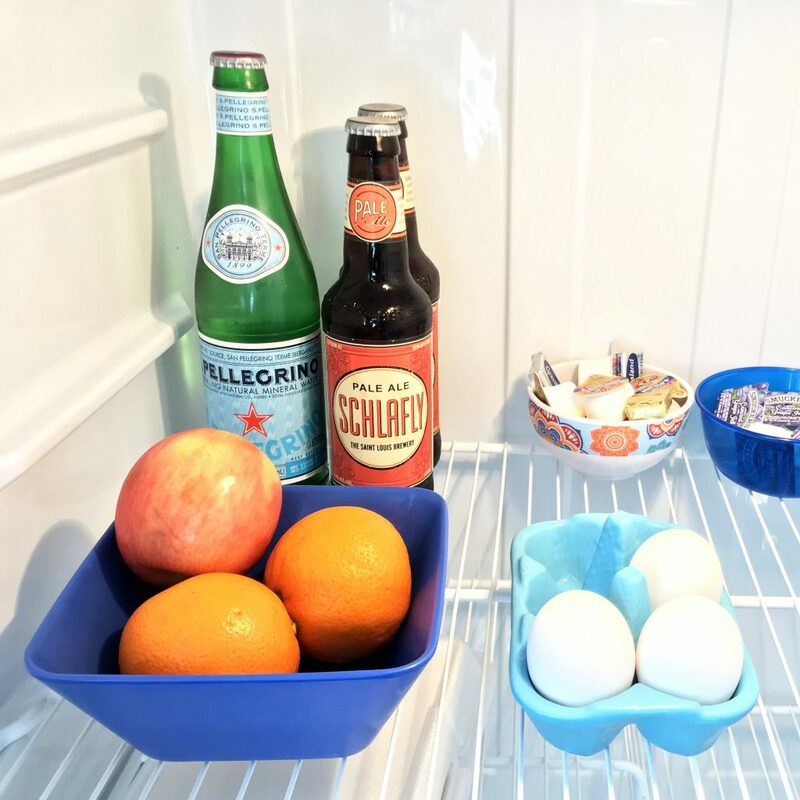 Whether you set out sticky notes or just some extra paper, this commonly overlooked amenity will be appreciated in them moment your guests need it the most. To the average person out there, this might sounds a little bit obsessive, but we noticed this little detail during our very first walk through the space. 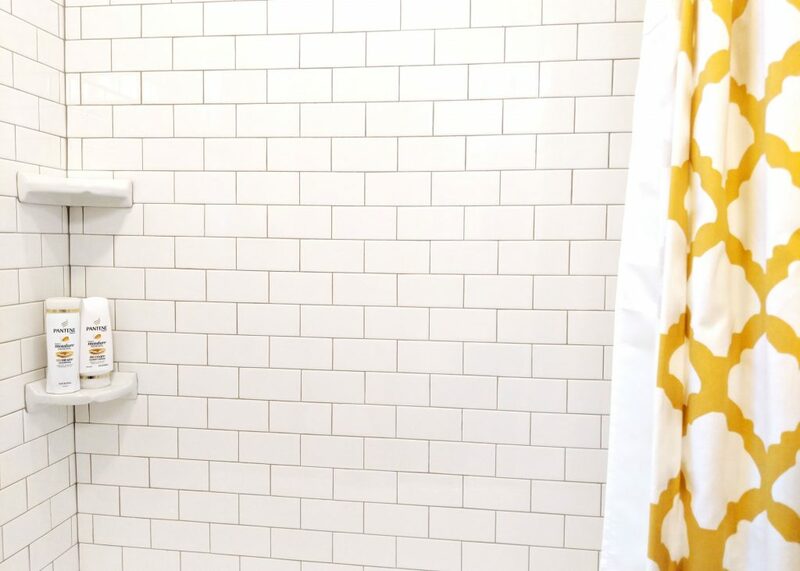 In the photos online, the image of the shower included a matching shampoo and conditioner Pantene ProV set and small soaps wrapped in SF Shannon’s own logo. 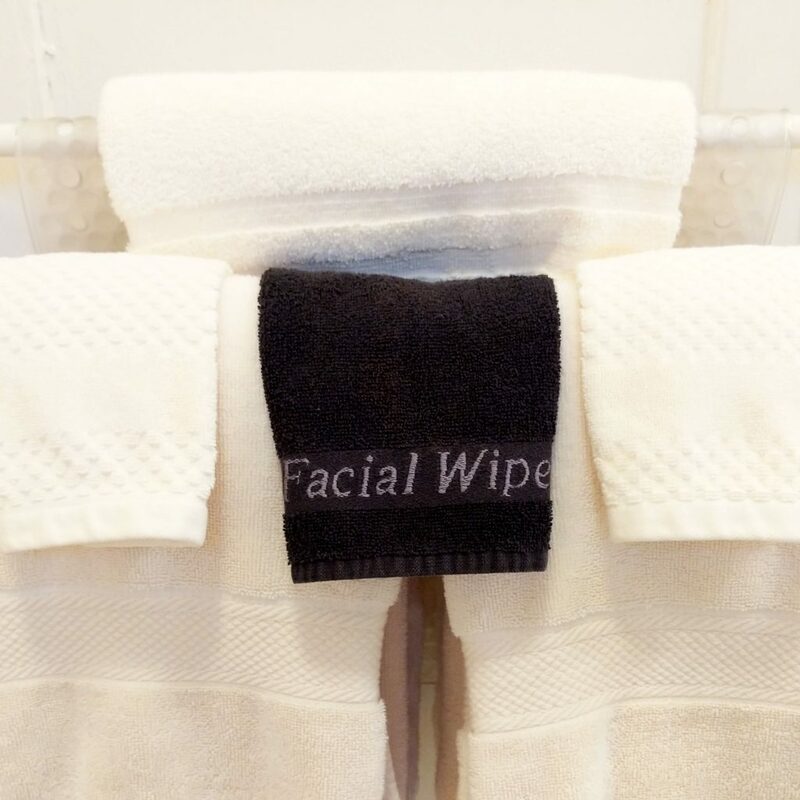 When we walked into the bathroom, we found those exact amenities waiting for us. 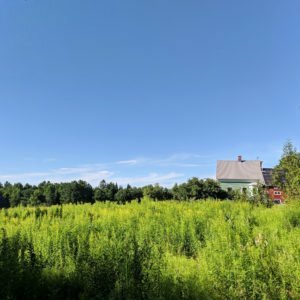 If you’re a host who hasn’t looked through your own photos in awhile, flip through your listing to see the sort of amenities you’re advertising. As a guest, there was something reassuring about how accurate the photos turned out to be. Underneath each of the kitchen shelves, Karen had mounted a few simple lights. 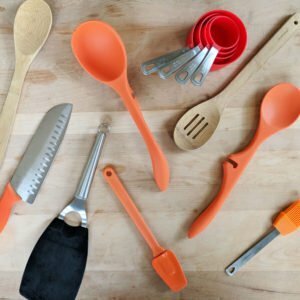 We were shocked how often we used these! While we were cooking, they were a welcome source of additional light, and when we were first waking up in the morning, we’d opt for these softer lights instead of the overhead fixture as we made our coffee. Take a look around your Airbnb and consider where a few adhesive LED lights might add some additional dimension and functionality to your space. 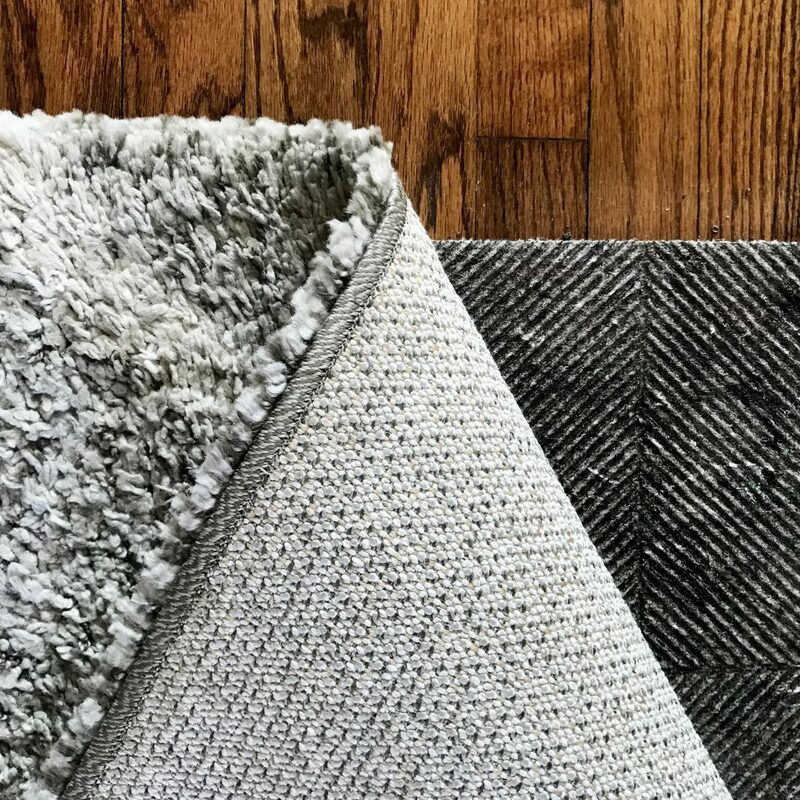 The Beckmann has our favorite Airbnb flooring strategy: a combination of hardwood and eye-catching area rugs. 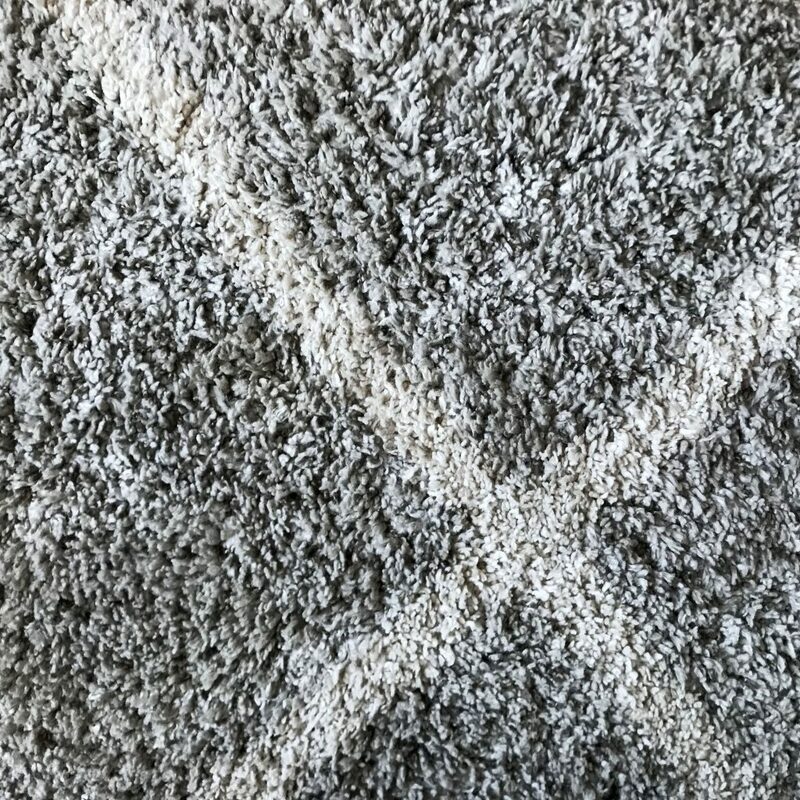 We immediately noticed was how much softer and padded all of their area rugs felt under our feet. When we pulled back the rug, we found an ultra thick felt rug pad that came a good quarter inch or more off the ground. How brilliant is that? 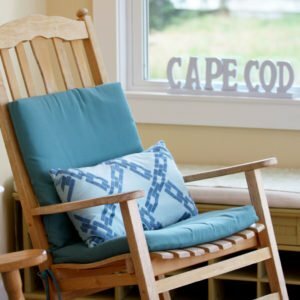 The additional weight not only creates a barefoot haven for your guests; it protects your floors, keeps the rugs in place and blocks noise better than any grippy pad ever could. Finally, this apartment has three gigantic walk in closets: one in the bedroom, one near the bathroom, and one just inside the front door. These spaces would offer a tempting location for the accumulation of those random odds and ends Airbnbs seem to somehow endlessly produce. But instead, we opened each door to find just a few key items guests might need: essential cleaning supplies, matching luggage racks, extra bedding, and that’s it. Remember, guests open up the closet doors all the time. Greet these curious peeks with only items that will enhance their stay. If you’re looking for an Airbnb in a super convenient and absolutely beautiful St. Louis location, this would be our top choice! We’d especially recommend The Beckmann for these travelers. Located across from Tower Grove Park and walking distance to the botanical gardens, this is the place to be! With solid wifi, a great work table, and a central STL location, this Airbnb would be the perfect spot for a work trip. This spacious studio has more than enough room for couples while sidestepping the full cost of a one bedroom unit. 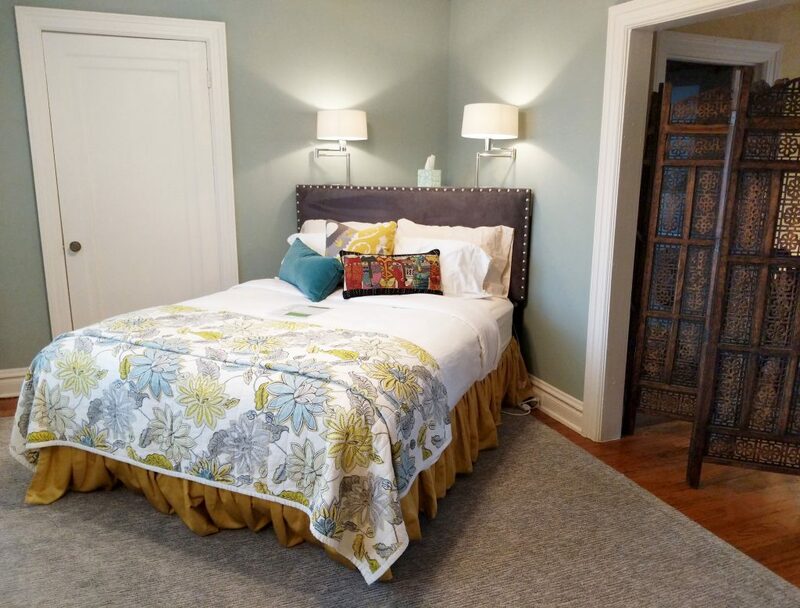 Book the Beckmann in Tower Grove! 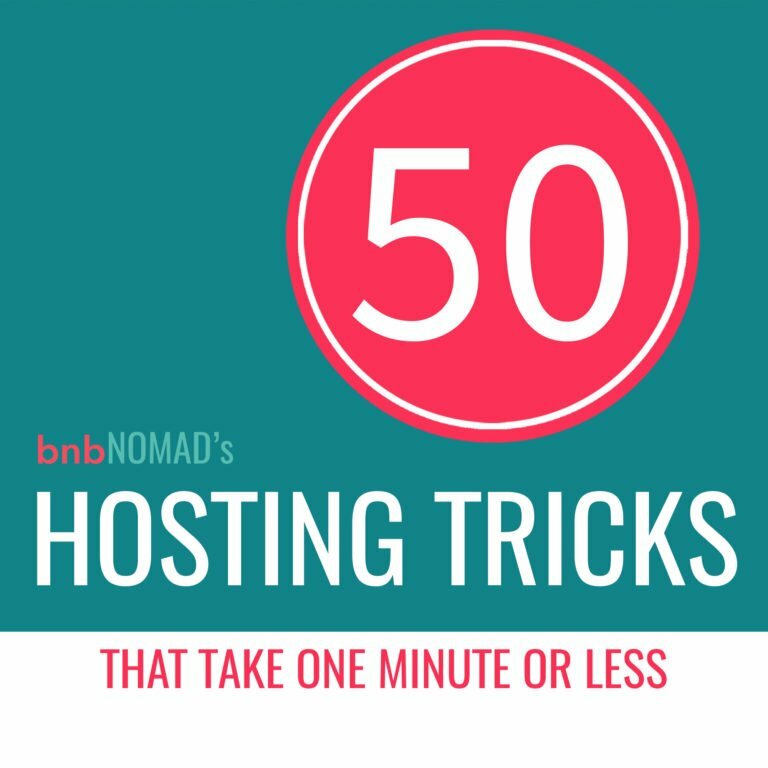 Your site is a fantastic and beautifully written resource for hosts and travelers alike. Thank YOU for all that you do to make the “airbnb experience” better for everyone.